Big League Experience welcomes the 23rd year of the “Best of the West” baseball tournaments series to be held in Kamloops, B.C. The Big League Experience takes great pride in the quality of each baseball tournament, welcoming competitive teams and players from all over the Northwest and Western Canada. For the 2018/19 season, all baseball tournaments will be Wood/Wood Composite Bat Only! Throw in the well manicured fields of the beautiful MacArthur Island Baseball Complex and we have an environment that is second to none for baseball tournaments. Tournament spots may be secured with a Non Refundable deposit of 50% of the tournament cost with the balance due no later than one month prior to the tournament start date. If you submit your registration without any payment you can pay through e-transfer for a check, but please understand that your spot in the tournament is not secured until payment is made (no exceptions). Have a great 2019 season and we look forward to seeing you on the field. April 4 – 7 2019 90/60.5 ft diamond Kamloops, B.C. April 4 – 7 2019 80/54 ft diamond Kamloops, B.C. April 11 – 14 2019 80/54 ft diamond Kamloops, B.C. The Big League Experience will be forming travel teams for this fall of 2018 and the spring of 2019, this past 2018 spring we travelled to both Las Vegas and Phoenix Arizona with 5 teams to compete in both Triple Crown and USSSA tournaments. 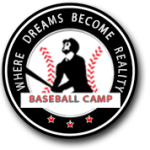 Our summer baseball camps will be used to identify players for these future travel tournaments. Sept. – 20-23 2018 90/60.5 ft diamond Kamloops, B.C. Sept. – 20-23 2018 80/54 ft diamond Kamloops, B.C.